Did you know that the characters of Bungou Stray Dogs are actually named after famous literary authors/characters of their works? 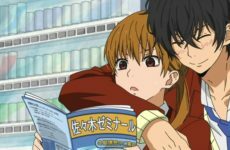 If you’re interested in Japanese literature and know plenty about it, this would probably be a very interesting series to you. I find it amazing that the author of Bungou Stray Dogs, Kafka Asagiri, knows so much about those writers and their literature, and how she manages to incorporate that knowledge into this series. The first season left us with the introduction of new characters from the Guild, the leader, Francis Scott Fitzgerald as well as the boss of Port Mafia, Mori Ougai. 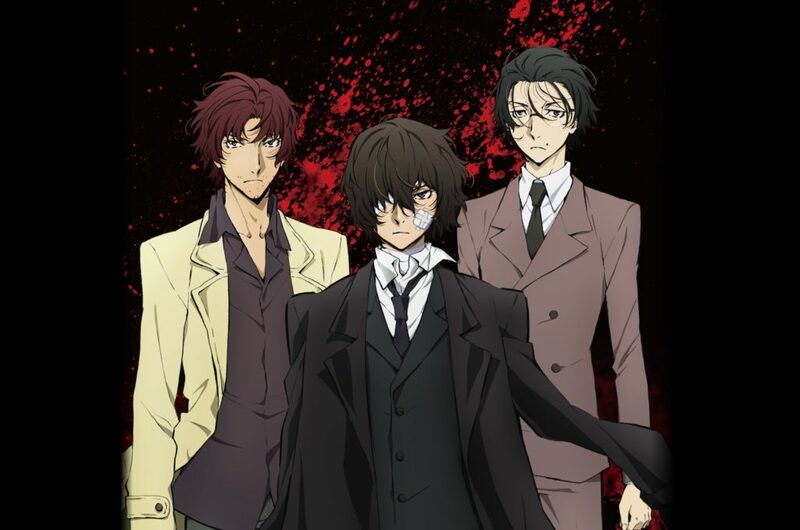 The second season starts off with a 4-episodes-arc, giving us more information about Port Mafia as well as the ever so lovable Osamu Dazai’s past. I’m loving what I’m seeing so far from this season. P.S. 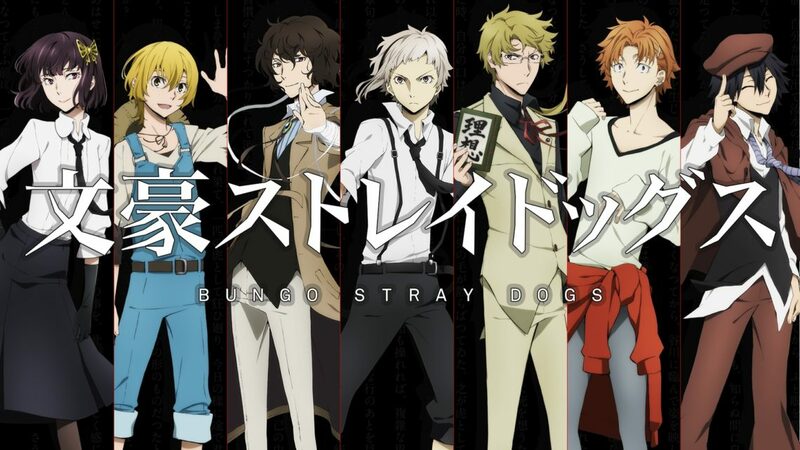 What are you doing here if you have not watched the first season of Bungou Stray Dogs? Stop reading this review and go watch the first season!! The story centers around Nakajima Atsushi, a boy who got kicked out of his orphanage. While he was standing by a river on the brink of starvation, he saved a man, Osamu Dazai, who was whimsically attempting suicide. He then found out that this man and his partner, Kunikada was actually a part of a detective agency filled with gifted individuals with superpowers. They deal with cases that are too much for the police or the military. I feel that this season is off to a really great start based on how the series started. It starts with an arc that elaborates more about Osamu Dazai’s past as a Port Mafia member. Sadly, this also means that our main character, Nakajima Atsushi, won’t be appearing anytime soon until the end of this arc. On the contrary, this is absolutely brilliant as Dazai’s past has always been shrouded in mystery and many questions have been running around in my head. For example, what caused Dazai to leave Port Mafia? It’s so relieving to be finally getting answers for my various questions. We also get to see another side of Dazai, the old him that is much more psychotic than the Dazai we had previously seen in the first season. He uses the ‘cheerful fool’ façade to his advantage to manipulate his opponents into thinking that he is less dangerous than he really is. The best part of this first arc is the fact that there is a darkness shown which we had not seen in the first season. Everything was more subdued and mature such as the atmosphere and the setting. More emotions have definitely been put into the second season which is a huge difference compared to how the first season was presented. Bear in mind that this difference is not a bad thing. I thoroughly enjoyed this first arc, which was dark in nature but also had bursts of comedy at times. The arc seems to be a prequel to the upcoming fight between the three clans, the Guild (which was introduced to us at the end of the first season), the Armed Detective Agency and the Port Mafia. Other than that, a new clan called Mimic appears and creates havoc and chaos for the Port Mafia. We are also introduced to two new characters, Sakaguchi Ango and Oda Sakunosuke, Dazai’s friends. They both play a very important role in Dazai’s past, especially Oda Sakunosuke or Odasaku, as called by his friends, and is part of the reason why Dazai chose to leave Port Mafia. Their story made my heart twist and I felt so gutted at certain times. I’m such a sucker for heart-tugging stories like this. The friendship between Dazai and Odasaku was so beautiful, and it was definitely the highlight of the first part of the season. The art and animation was really well done. In terms of the character expressions and details, the art of the anime has more clarity than the manga’s. I especially loved the art of the comedic reactions. The only thing that irked me was when the features of the face disappear when the characters are further away from the screen. The eyes, nose and lips literally disappeared and they looked like Slenderman, but with hair and peach skin. Other than that, I must say that the art in the second season has a more sinister air and a darker atmosphere to it, which fits the comparatively serious first arc. TLDR; Great animation, sometimes missing details at certain shots. The voice actors (seiyuus) are seriously superb this season, especially Mamoru Miyano (Osamu Dazai). His voice acting is more mature this season and his ability to change the tone and emotions of his voice quickly was amazing (Dazai constantly goes from bubbly to serious in a split second). Another notable seiyuu would be Junichi Suwabe (Oda Sakunosuke). He managed to portray a lot of emotions in his voice acting and it was absolutely brilliant. Moreover, the opening song, “Reason Living” by Screen, and the ending song, “Kaze ga Fuku Machi (風が吹く街)” by Luck Life sounded really nice. The soundtrack of the anime was also very fitting with the darker theme of the anime. Conclusion: Awesome voice acting, and soundtrack. As I’ve mentioned before, the characters of Bungou Stray Dogs are based off famous literary authors. The newly introduced Sakaguchi Ango and Oda Sakunosuke are no exceptions. Both their namesakes are controversial authors that did not fit the traditional style of writing at that time. For example, Sakaguchi Ango was known to be a staunch opponent of wartime ideology at that time, 50 years ago. There was a scene in the anime where all three of them (Dazai, Ango and Oda) had a toast ‘to the stray dogs’ which I found very fitting as in real life, all three of them were considered the stray dogs of bungou (literature). 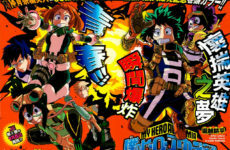 All the characters have unique personalities with their own unique powers, and we are constantly made aware of the fact that all of them have a dark past behind them. In this arc, our focus is Oda Sakunosuke, the lowest-ranking member who for some reason, refuses to kill anyone. The fact that he refuses to kill anyone is weird as he’s in the mafia. Who doesn’t kill in the mafia?? As for Ango, we get the typical intellectual spectacles-wearing officer who’s holding plenty of secrets. Last but not least, we are shown a different side of Dazai as mentioned before, which gives us a contrast of his personality during and after his stint as a Port Mafia member. Powers-wise, I find it unique how the character’s powers are named after their namesake’s books. For example, Dazai’s power is called ‘No Longer Human’ which is considered to be the author Dazai’s masterpiece. Their powers range from being able to negate any ability, being able to see 4 – 5 seconds into the future when in danger and others, a wide variety of abilities. TLDR; Interesting characters and unique powers. This is a series I highly recommend for everyone to watch. Even though it is dark and mature, it is also enjoyable with a tinge of humor. The only problem I found with it would be about the lack of details on the characters’ faces when zoomed out. It is really disconcerting to see an empty face. 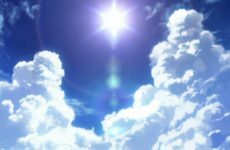 If you’re someone who enjoys supernatural fantasy, then this is definitely the anime for you! However, please make sure you have watched the first season, otherwise, you won’t understand anything happening in the subsequent episodes! I’m highly anticipating the upcoming episodes and the inevitable conflict between the three clans. This is going to be very interesting. Here’s to the Bungou Stray Dogs! Previous Post VOCALOID & UTAU: There’s a difference?